Second Row Real Estate on Topsail Island - Great Views & Great Prices! 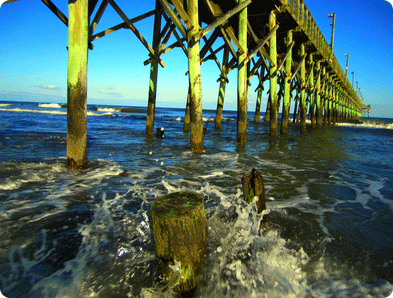 Topsail Island has over 26 miles of oceanfront properties but also 26 miles of second row real estate. Generally speaking, most second row homes have views of the ocean and are very close to one of the many beach accesses on the island. Compared to the island's ocean front or water front properties, second row is a viable and affordable alternative investment. Vacation tenants regularly ask for second row properties as well which allow you a return on your investment.